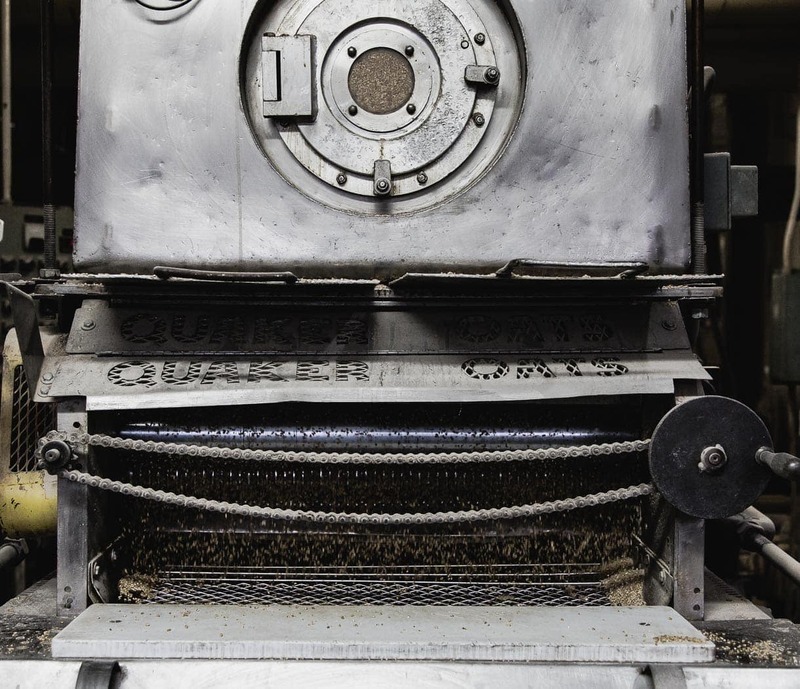 This post and visit to their Cedar Rapids mill, Quaker® Oats Company. All words and opinions are my own. Food nostalgia floods us with such vivid, emotional memories of people and places in our past.There’s a comforting authenticity to it. 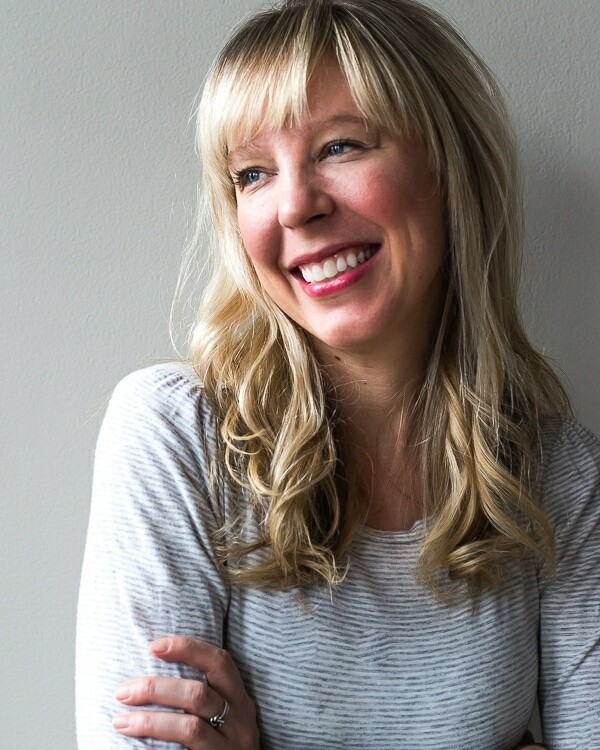 I often pine for things I grew up eating (like boxed macaroni and cheese with cut-up hot dogs), even if they aren’t along the lines of how I eat today, and gravitate towards the brands my mom trusted in her kitchen. Like the round, red canister of Quaker® Oats that was always in our pantry. Mom would use them in everything from meatloaf, to monster cookies, and of course, oatmeal. Around age 6, I took the liberty of making my own breakfast, opening a packet of maple brown sugar or apple cinnamon oatmeal, and let the microwave cook my masterpiece. 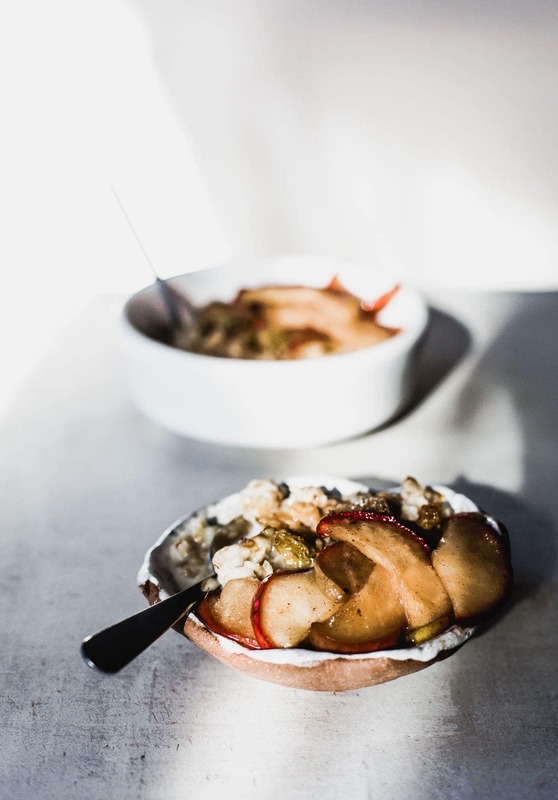 Memories of the instant oatmeal flavors are what inspired this Coconut Sugar Oatmeal with Caramelized Apples. A little more grown up, but still incredibly simple to make. I used coconut sugar in place of brown sugar, which brings a fabulous caramel flavor to both the sautéed apples and the oatmeal. And it still melts on top, just the way I remember. A few golden raisins for texture and a drizzle of whole milk to complete this bowlful of warm and cozy. 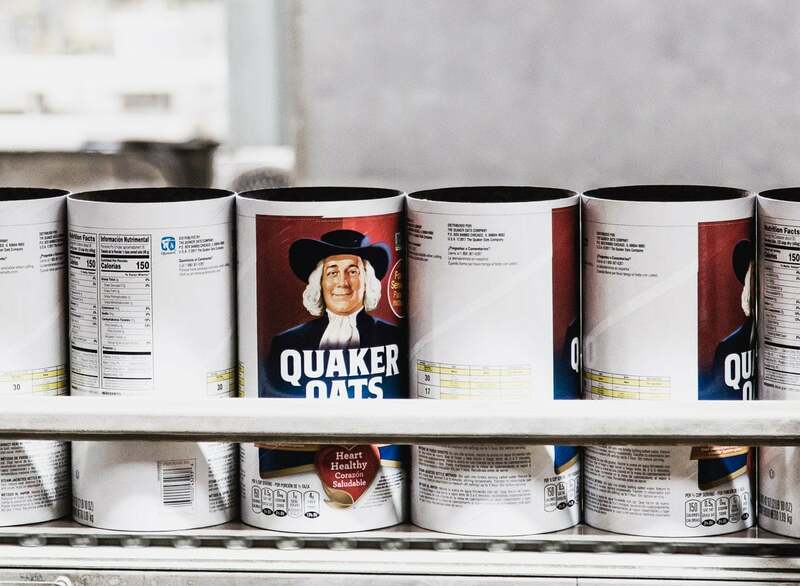 A few weeks ago I traveled to Cedar Rapids, Iowa to meet the people who grow and produce Quaker Oats, and tour their mill (still the largest in the world) that was built in the early 1900s. 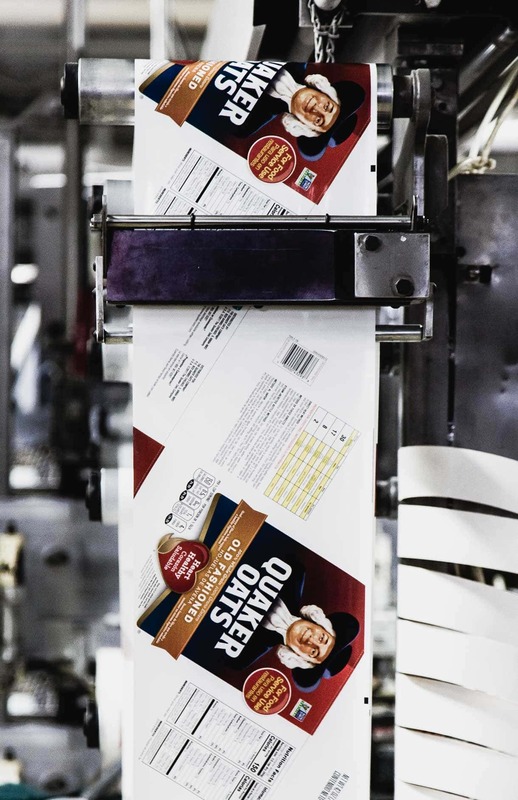 It was a chance to see the seed to spoon journey of the oats that bring us nourishment, and how Quaker continues to pioneer innovative ways of delivering the best oats to our kitchens, as they have for the last 140 years. And that starts with those who grow. Their Direct Growers program consists of over 400 farmers in Canada, where oats grow best. 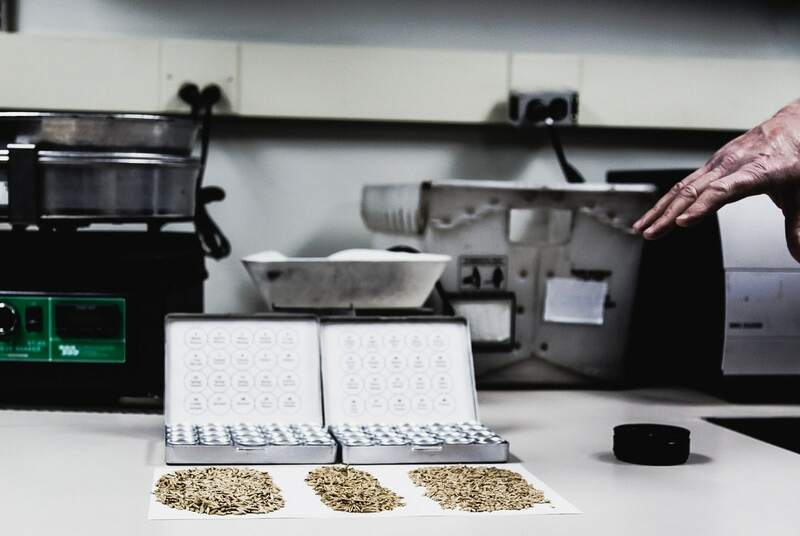 When those oats are delivered to the Iowa facility, mostly by railcar, a proprietary grading lab ensures oats that continue on to be milled meet the Quaker’s high quality standards. Nearly half of their oats are grown by the Direct Growers, which has advantages like understanding the origin of the oats, as far as knowing which farms our crops came from, and growing preferred varieties with specific benefits for particular Quaker products. And gluten-free oats, well, it’s a highly discussed topic these days. 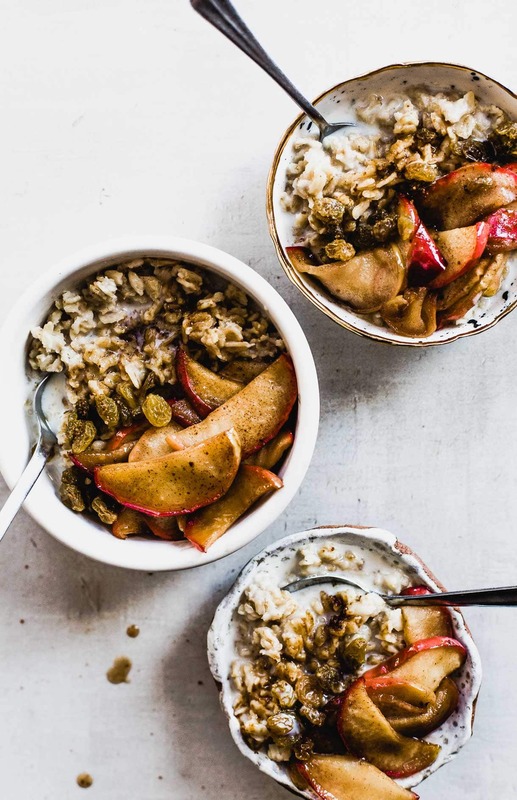 Oats are naturally gluten free, but have been known to get a little too close with other gluten-containing grains like wheat or barley, in the field, during storage and even transportation. That’s why people with celiac disease and gluten allergies sometimes avoid oatmeal. Thankfully, Quaker experts have developed a breakthrough cleaning system to remove these other grains to create gluten free oatmeal you can trust. These days I look in my own pantry, and the Quaker Man is still staring at me, some 30 years later. 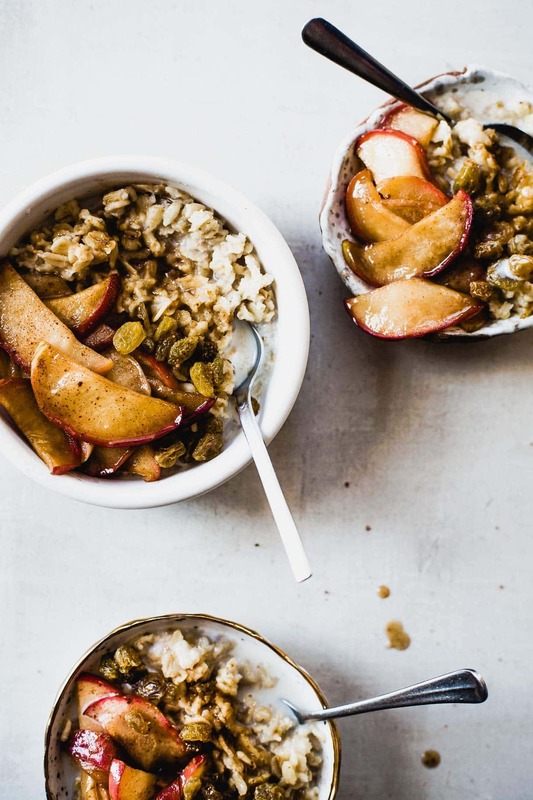 In some way, shape or form, sweet or savory, I eat oats nearly every day. It’s hard to find another whole grain with such versatility, accessibility, and subtle, toasty flavor. Toast your oats in a pat of butter before you add the water. This brings out the true flavor, just like it would to nuts. Don’t overstir your oats while they are cooking. Otherwise, they tend to get gummy from the starches releasing. Let them sit, off the heat, after they’re done cooking. This rest will let them cool slightly so the oats can thicken, and a wonderful texture is created. In a saucepan, heat olive oil over medium heat. Add oats, stirring to coat, and turn heat to medium high. Cook for 3-4 minutes, until you smell toasty notes. Pour in water and salt. Bring to a boil, then turn down to a simmer. Cook for 10 minutes, until oats are softened and have absorbed water. Remove from heat, and let sit for 3 minutes. Then stir and add in 2 tablespoons milk. 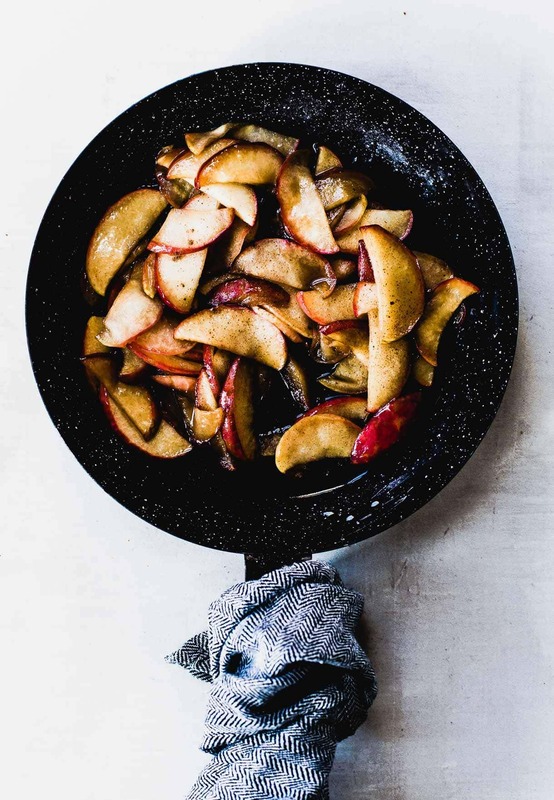 To make apples, melt butter over medium heat in a large skillet. Add apples and coconut sugar, and salt, stirring to coat. Let cook for 15 minutes, stirring as you go, until apples are softened and juicy. 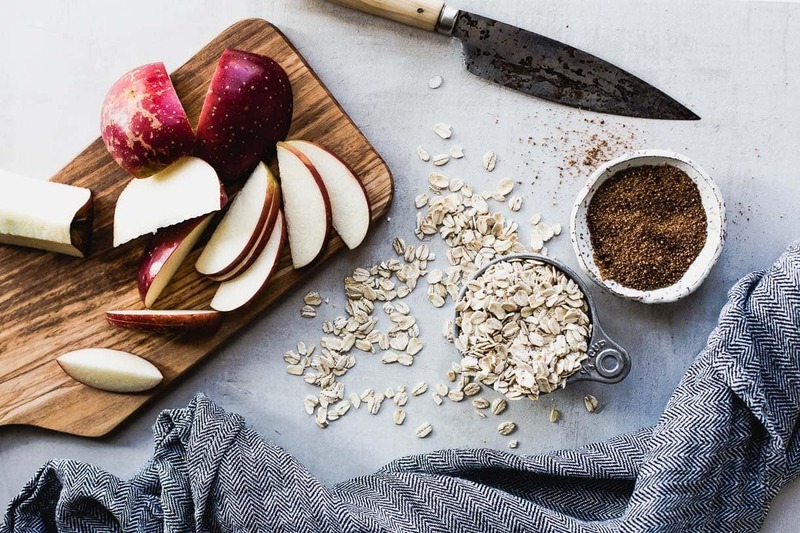 Top oatmeal with warm apples, a tablespoon of coconut sugar, and golden raisins. This looks scrumptious! I was drooling by the time I saw the caramelized apples! :P Would vegan butter or coconut oil work in replacement of the butter? Looks great! The oatmeal recipe calls for olive oil, but the instructions say to melt butter. Also, it says in the oatmeal instructions to add salt, but I don’t see salt listed in the oatmeal recipe. Is it olive oil, or butter? How much salt? updated! sorry about the mixup. I love these nostalgic flavors! We used to have that brown sugar oatmeal with the little sugary dinosaur eggs that hatched when hot water is added. I venture to say that this bowl is definitely a little more grown up than that. Hah! Made this today for a hearty cold weather morning and it did not disappoint. Flavorful and so good, slight sweet, buttery and salty notes. I added toasted walnuts and only had regular raisins, but still a delightful breakfast.